Big Mouth back for 2019! Following its successful introduction earlier this year, Portsmouth Guildhall’s Big Mouth Comedy Festival is set to return in March 2019 with absurdist genius; Milton Jones and one of the finest female comics at work; Jo Caulfield, the first names to be announced in what is set to be a fine four days of folly, frivolity and tomfoolery guaranteed! The legend that is funny man Milton Jones, opens this year’s festival with a special set featuring a mix of new material and some of his greatest ever hits. A regular on Mock the Week (BBC2), Jones has also appeared on Michael McIntyre’s Comedy Roadshow (BBC1), Live at the Apollo (BBC1) and has headlined Dave’s One Night Stand (DAVE). 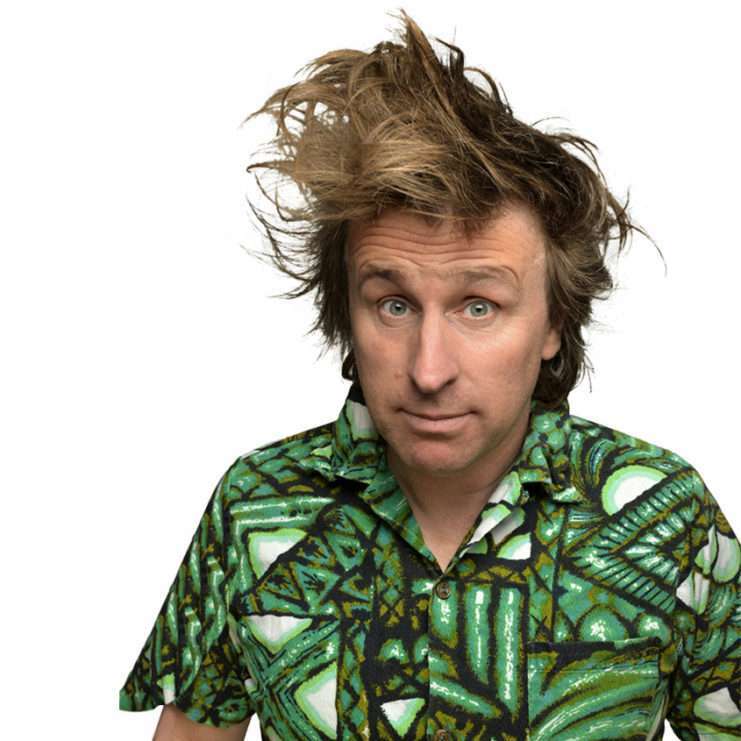 The award-winning comic’s tours, Milton Jones and The Temple of Daft, On the Road and Milton Jones Is Out There have played to hundreds of thousands, he has recorded three hugely successful DVDs and his novel Where do Comedians go when they Die was described as “hilarious, moving and truthful. Finally a book that tells you what it’s really like to tell jokes for a living – and nobody tells them better than Milton Jones”. Joining the opening night line up on Friday 1st March, best known for her legendary one woman shows is Jo Caulfield. Nominated as the “best female stand up in the country” and Head Writer for Graham Norton, Caulfield is “quite simply a damn funny woman”. A regular guest on Mock the Week (BBC2) and Have I got News for You (BBC1), Caulfield has also appeared on Never Mind the Buzzcocks (BBC2), Saturday Night Live (ITV1), The Comedy Store (Series 2, 4 & &, Ch5), The Comedian’s Comedian (Ch4) and many, many more. In demand at Comedy Clubs throughout the country, comedy writer Caulfield has had her own critically acclaimed BBC Radio 4 comedy show, completed national theatre tours, international performances and is one of the fastest ticket sellers of the Edinburgh Festival. With further announcements set to come, you will not want to miss the opening of this four day extravaganza between 1st and 8th March 2019 brought to you by Portsmouth Guildhall and local comedian, actor and writer, James Alderson. Beyond the headline opening night, on 2nd, 7th and 8th March, comedy lovers can enjoy the ‘Best of the Fringe’ with some of the hottest acts from TV, Q&A sessions with two of comedy’s top legends (we are getting very excited about announcing these! ), a comedy drama in the Guildhall’s new Studio space and the very best of emerging talent. Tickets for individual dates of the festival are available or get a Festival Pass to ensure that you don’t miss a minute! Available now at bigmouthcomedyfestival.co.uk or Guildhall Box Office: 0844 847 2362 (calls cost 7p per minute + network access charge).